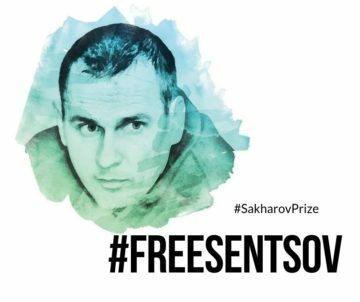 The Federation of European Film Directors expresses its thanks to the European Parliament for its decision to award the Sakharov Prize for Freedom of Thought 2018 to the Ukrainian film director Oleg Sentsov. The decision demonstrates the European Parliament’s determination to oppose Oleg’s illegal detention, and its commitment to upholding the freedom of expression in the EU and beyond. The award ceremony will be held at the European Parliament in Strasbourg on 12 December. PDF version of the Press Release here. The Federation of European Film Directors (FERA – Fédération Européenne des Réalisateurs de l’Audiovisuel), founded in 1980, represents in Brussels the independent voice of film and TV directors as the primary creators of audiovisual works. With 43 organisations as members from 33 countries, we speak for more than 20,000 European screen directors, representing their cultural, creative and economic interests at national and European level. FERA works to promote policies that maximize the cultural, creative, social and commercial potential of the audiovisual industry. FERA EU Transparency Register Id No. 29280842236-21.